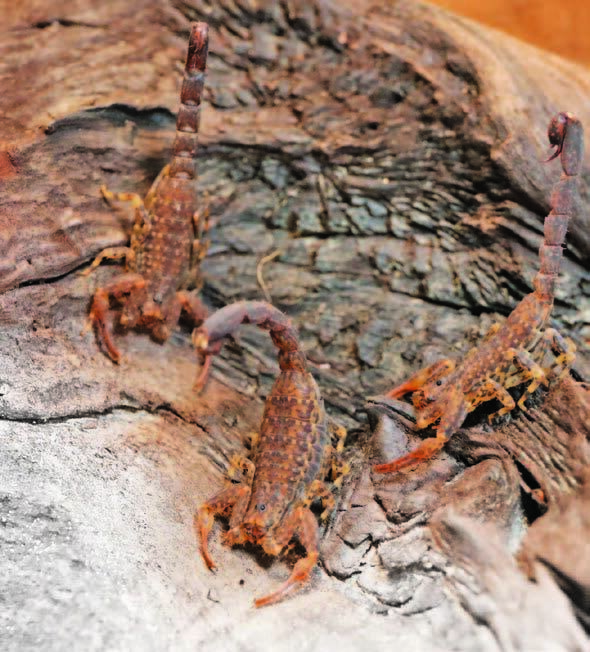 Lychas infuscatus is a species of bark scorpion found in the tropical forests of Southeast Asia, New Guinea, and Australia, according to the 1977 Records of the Western Australian Museum. 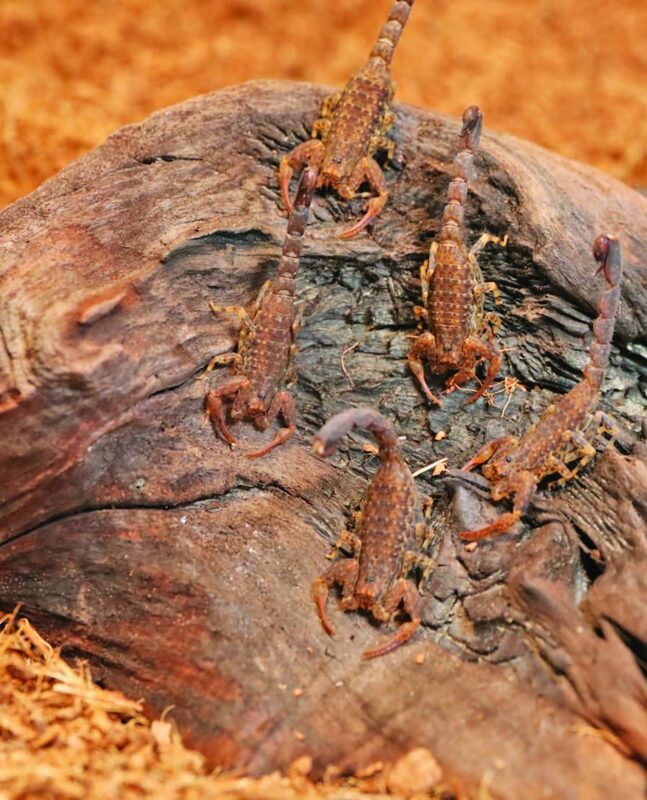 They are called bark scorpions because they prefer to stay in damp or rotten wood in the forest floor. They are often encountered in small groups. They come in several color variations, which are not solely due to the environment. Different factors affect the genetics and color, including adaptation, but a single specific explanation for their various colors is yet to be determined. The interesting species was initially described by Gervais in 1841, according to a 2013 article by Wilson R. Lourenço and Elise-Anne Leguin for Revista Ibérica de Aracnología (Iberian Magazine of Arachnology). However, just after a few years, Gervais’ data was considered lost or perhaps misplaced for a long time. Originally described In 1891 by zoologist Reginald Innes Pocock of the British Museum, these scorpions were spotted in the Philippines and described in 2011 by Leonard Georg as a junior synonym of Lychas armillatus, making them a valid separate species, as summarized in the 2015 taxonomical updates by Jan Ove Rein. They are one of the Lychas species rediscovered in Southeast Asia, together with Lychas armillatus. 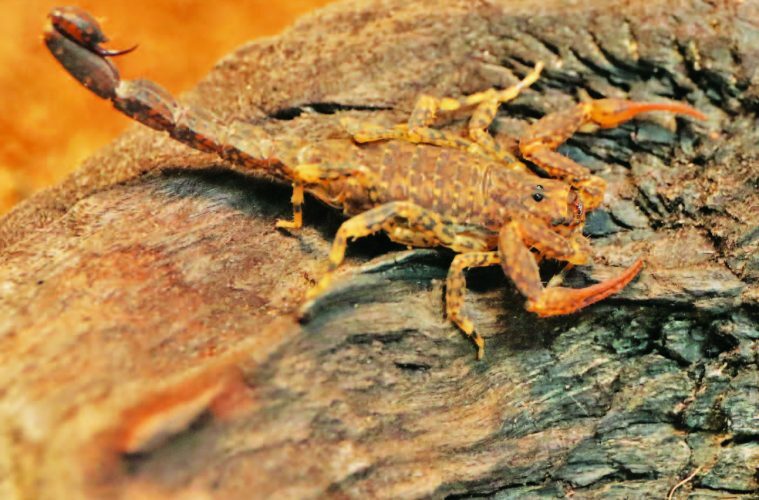 This bark scorpion can exist only in tropical rainforests. Oftentimes, they are found in barks which have been partially consumed by termites. Termites create hollow areas in the bark that serve as perfect hiding spots for their scorpion colonies. Lychas infuscatus scorpions are sometimes found under leaf litters in the forest floor, too. Most members of the Lychas species need habitats, requiring humidity of about 75 to 80 percent and temperatures of about 21 to 28 degrees Celcius, according to the Danish website Zooniverse. Their habitat must never dry out or they die. This is why the presence of this species is used to gauge the effects of global warming in tropical rainforests. Lychas infuscatus often lives in colonies or smaller groups. This is because they are capable of taking down much larger prey through strength in numbers. This behavior is probably what made this small bark scorpion a successful predator despite their relatively small size. The collective hunting effort of this species also allows their colonies to inject more venom into their prey, immobilizing them more quickly. They also rarely cannibalize their own kind, even when there is a chance to do so. The primary defense mechanism of the Lychas infuscatus is their venom. 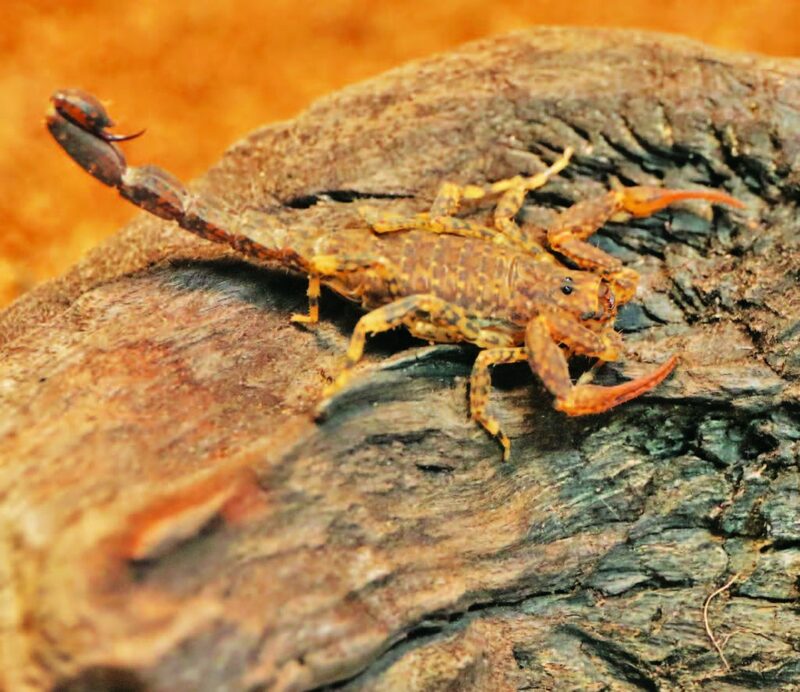 These bark scorpions have small and weak pincers which aren’t strong enough to ward off potential predators or threats. That is why they have moderately strong venom to protect themselves from harm.However, they rarely sting their threats. 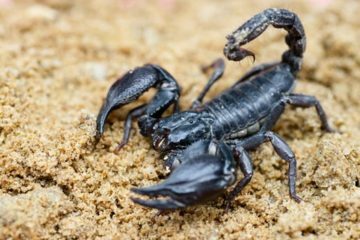 A Lychas infuscatus scorpion would rather run and hide than confront a predator. It might not look like it, they can move really fast when necessary. As a colony, they may spread out in different directions to further confuse their predators. They would rather run away or play dead in order to conserve their venom. 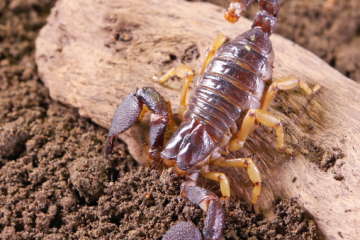 There are only a few species of scorpions that play dead for a long time when threatened, and most members of the Lychas species are capable of this feat.